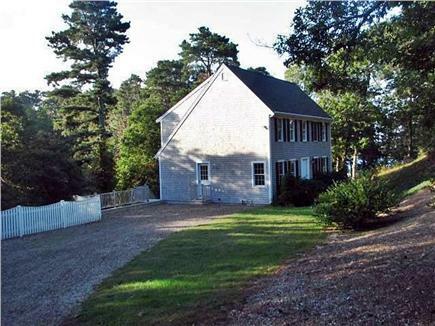 “Enjoy all the comforts of home in a private, wooded setting with a view of Lower Mill Pond. 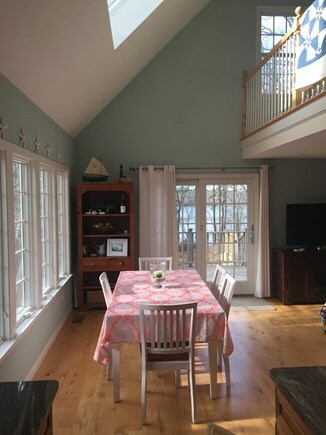 This house features central AC and also features a large, open floor plan with hardwood floors and vaulted sky-lit ceiling. 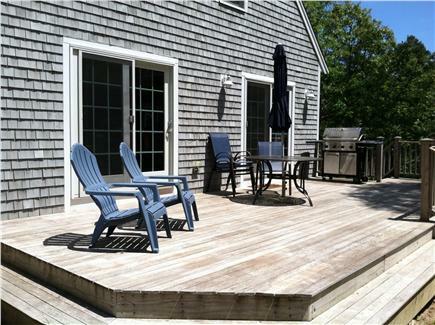 Sliders provide access to a deck overlooking Lower Mill Pond with a gas grill and patio furniture for outdoor dining. 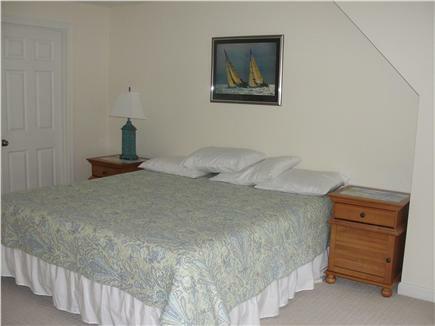 Three carpeted bedrooms - Queen bedroom and full bath on first floor; 2 additional bedrooms (1 King, 2 Twins) with shared bathroom on 2nd floor. 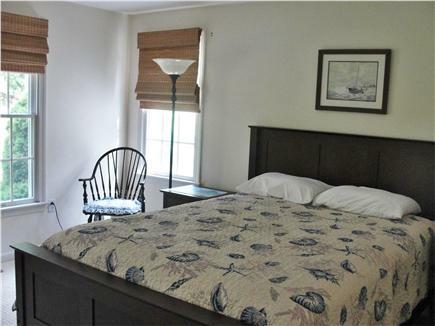 There is a 50” HDTV in family room with cable & Netflix, an extra TV in the King bedroom, and Wifi internet. New to 2016 is a great outside shower! 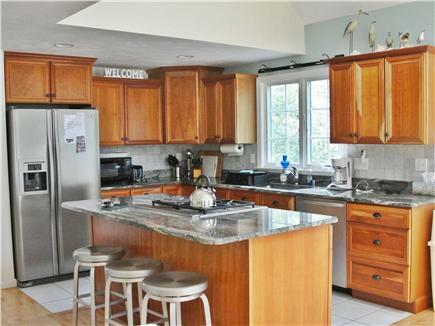 Well-equiped granite kitchen with stools at breakfast bar, gas stove, dishwasher, and microwave. Washer and dryer on the first floor. And on the rare occasion that it rains or to beat the heat the owners have installed a Ping Pong Table in the basement for your enjoyment. Deeded rights down a path to Lower Mill Pond (rather steep at end) where you can launch a canoe, kayak or SUP (not provided). 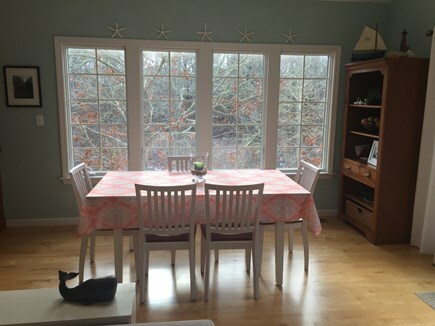 Also walkable to the Brewster Grist Mill, Upper Mill Pond boat launch, Lemon Tree Shops, Kate’s Seafood stand, and Paine’s Creek Beach on Cape Cod Bay. 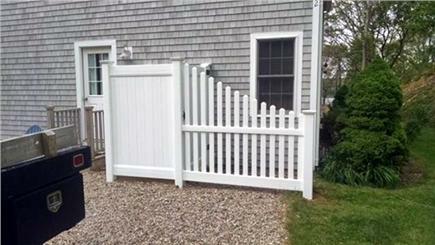 A Short drive to other Brewster Bay beaches, Nauset Beach, and up to the Cape Cod National Seashore. This is a wonderfully secluded home for a family vacation. Pictures have a hard time doing it justice. Outside, we enjoyed the natural Cape greenery with a view of the pond behind. 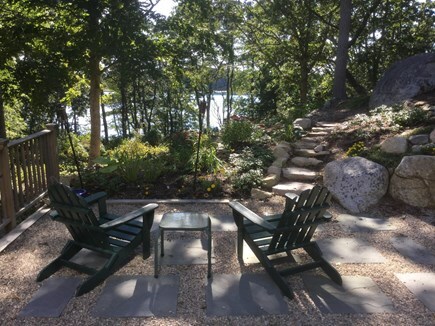 The beautifully landscaped patio is a great place to enjoy the outdoors. 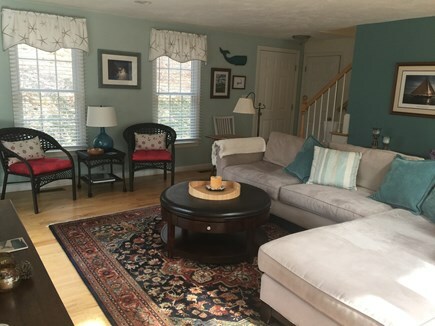 Inside, the two story open concept floor plan offered just the right amount of space for privacy, as well as a cozy gathering area for conversation, game playing or watching TV. My sister and I stayed in this beautiful house which has everything you need, including books, games, and a ping-pong table. 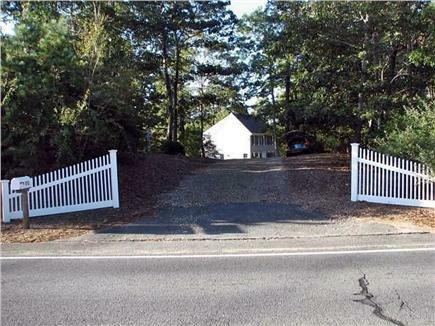 The property is very nice, with lovely plantings. The WiFi was good. We had never stayed in Brewster before, and we really enjoyed our visit. It's a nice central location. We would definitely stay here again. 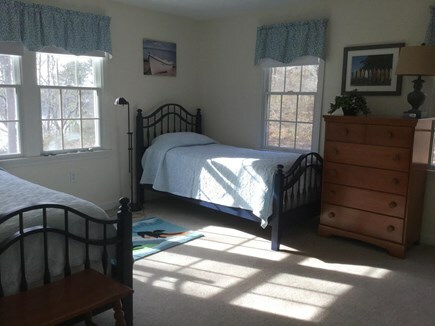 We have stayed at the Cape every summer for many, many years, and, in that time, have rented so many different houses in the Brewster/Orleans area. We absolutely love this house. 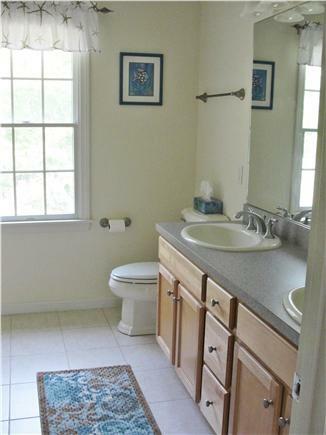 It is brand new, finely furnished, perfectly located (one mile from the beach), and has an amazing pond view. We enjoyed eating breakfasts and dinners on the rear porch, looking out at the water. We chose to stay there for several weeks because it is the perfect fit for our family. My husband and I just returned from our stay in this home on the Cape. What a restful, private and tranquil setting. We took advantage of the proximity to the Punkhorn Trails, Paines Creek Beach, Nickerson State Park and the Cape Cod Rail Trail. 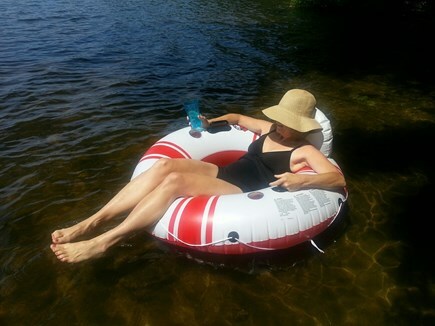 The home was equipped with everything we needed to make our stay comfortable and enjoyable. I loved reading on the deck overlooking the pond. It is a beautiful home and I can't wait to return. I stayed at this property for 10 days in May. The house is lovely and has everything you would need. The view of the pond from the living and dining area and deck is great. It was nice to be at my computer or watching TV and being able to glance up and see the lake. There is something so peaceful about the water. The location is very close to public beaches, trails, grocery store, shops, etc.....I hope to return to this house in October.